LCP High Yield MICR Toner for Troy MICR 3015 (02-81601-001) CE255X MICR - Print your own checks with our Compatible Troy MICR 3015 Toner. This Compatible Troy 3015 MICR Toner delivers excellent print value. 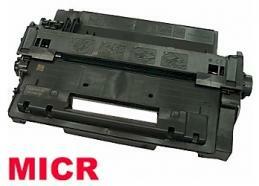 This Compatible Troy MICR 3015 Toner is a High Yield black toner used in MICR check printing. 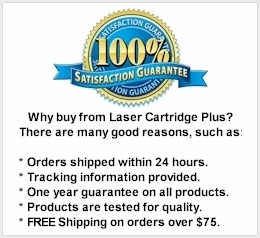 For use in Troy MICR 3015, Troy P3015, Troy P3015, HP LaserJet Enterprise P3010, P3015, P3015D, P3015DN, P3015X, HP LaserJet P3016, HP LaserJet Enterprise 500 MFP M525, M525f, M525dn, HP LaserJet flow MFP M525c, HP LaserJet Pro MFP M521dn, M521dw, Troy 3015 MICR, Troy 3016 MICR Toner Printers. This is a LCP MICR Compatible Troy cartridge. Compatible with MICR Cartridges: 02-81601-001, 02-81600-001, CE255X, CE255A, MICR-THN-55X, MICR-THN-55A, 55A MICR.